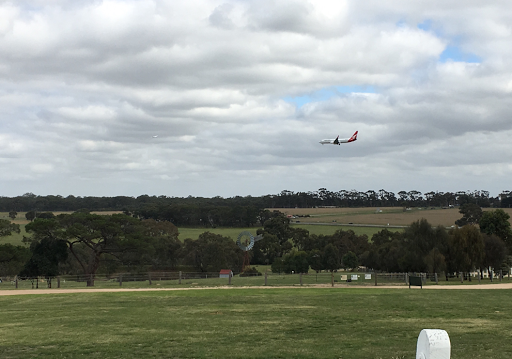 I drove to Woodlands Historic Park, north of Melbourne Airport this afternoon. I just came across this place last night on the internet, looking for a new area that I haven't been to. I have to say it's a great find. It's fascinating to see airplanes come and go every five minutes with roaring sounds. 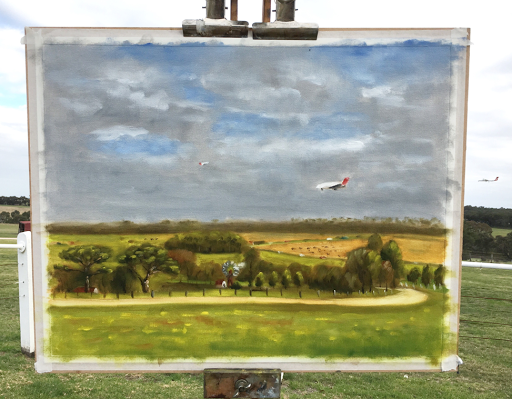 Usually I prefer a quiet place to paint but it didn't bother me. There's also a homestead and very good walking tracks. I'll definitely come back.